We had some banana's that were VERY ripe and if they weren't used within the next day I'd have to throw them out. Of course I could have popped them in the freezer for a smoothie at some point, so there is no need for banana's to ever go to waste. Anyway I decided to make banana bread. I love it and it's so easy to make. The recipe I use says to add walnuts, which I never do. I don't like them, so why would I add something I don't like. I just leave the walnuts out and make the recipe as stated but without the nuts. But sometimes I add in some chocolate. Banana and chocolate go great together, so why not. This time I added in both milk and white chocolate. We are still working through our Christmas chocolate, so thought this would be a good way of using it up. I've linked the recipe below that I use. Heat oven to 180C/Gas mark 4. Lightly oil a 25 cm x 11cm (10in x 4 1/2in) loaf tin. Cream butter and sugar together in a food processor or with electric beaters, until smooth. Add one egg and beat well, add the second and continue to beat well. Sift in half the flour with the bicarbonate of soda and salt and mix well. Mix in the milk, then the remaining flour. 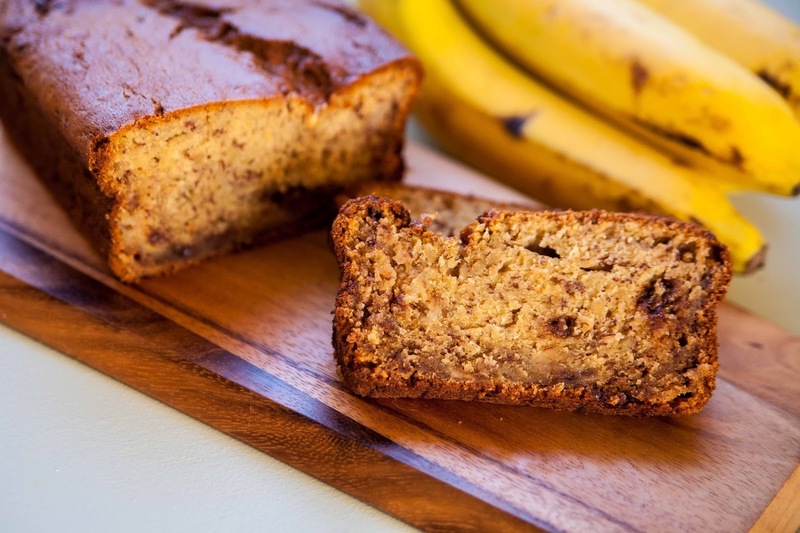 I hope you enjoy this banana bread as much as I do.